Holey moley. Some very cool works! The Comet Book by Robert D Chapman and John C Brandt. A Guide For The Return Of Halley's Comet. From circa 1984. Softcover. Could it be the Robert Chapman I know?! Gravity, Black Holes and the Universe by Iain Nicolson. 1981. Hardcover. 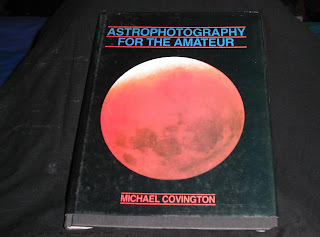 A Complete Manual of Amateur Astronomy by P. Clay Sherrod. Tools and Techniques for Astronomical Observations. Circa 1981. Softcover. Huh. Is this Dr Clay? Build Your Own Telescope by Richard Berry. Circa 1985. How to Make a Telescope by Jean Texereau. Second English Edition. May 1984. Hardcover. Wow. Telescopes You Can Build from Edmund Scientific. Circa 1963. Softcover. 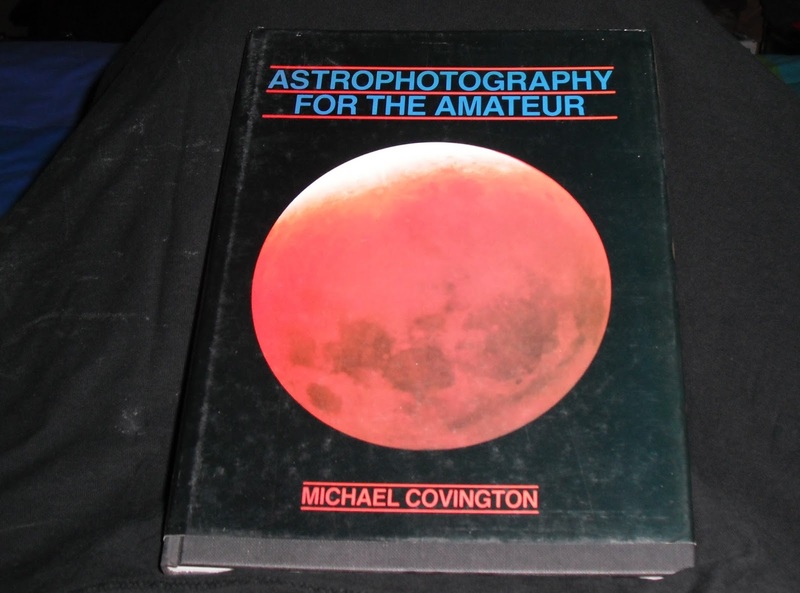 Astrophotography for the Amateur by Michael Covington. Circa 1985. Ha. Cool. Dated but I look forward to reading it. Ha ha. Ha ha ha. So funny. All About Telescopes by Sam Brown. From, again, Edmund Scientific. Softcover. A book I've been coveting for years. And, ironically, I needed to get the Newtonian up and running. And that I looked all over for and found at the Toronto Public Library many moons ago. And that Al had the whole time! Ironic. Very interesting. Well, what a wonderful surprise. Bob is not Bob, but Clay is Clay.